Cluiche atá oiriúnach do ranganna scoile nó don bhaile le cuidiú ó COGG. 10 gcluiche i ngach bosca - pictiúír agus íomhánna d’fhocail úsáideacha, litir ar iarraidh ó gach focal (agus gach litir in aibítir na Gaeilge clúdaithe uair amháin in aghaidh an chluiche). Tíleanna maighnéadacha de litreacha chun na ‘bearnaí’ a líonadh. Gach rud á chur ar fáil i mbosca téagar maighnéadach. 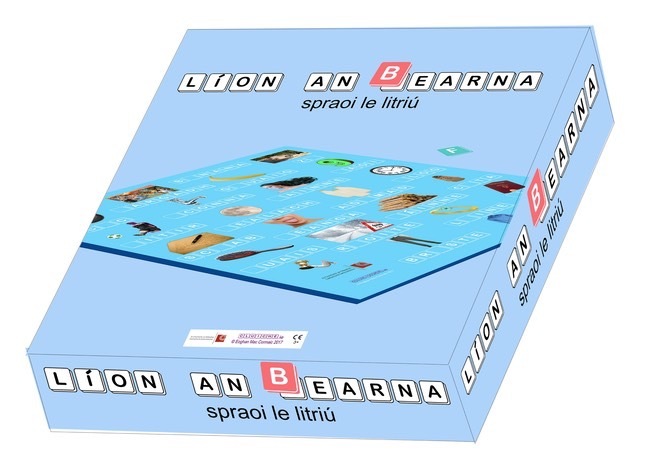 10 different games in each box, of images and pictures of useful words, with one letter missing from each word - and each letter of the Irish alphabet covered once in each game. 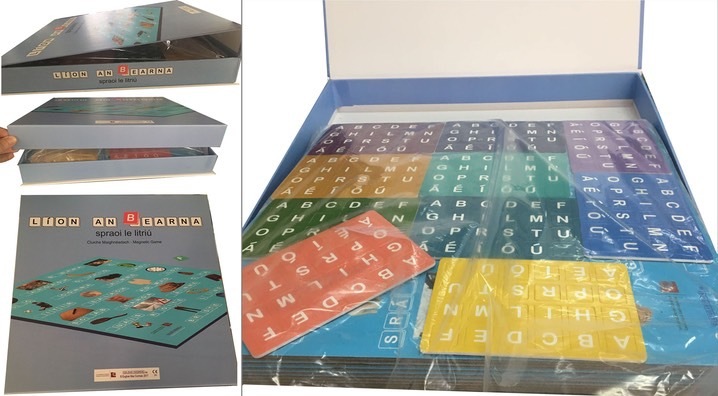 Magnetic letter tiles are used to fill the gaps and the whole game is presented in a sturdy magnetic box.